In recent articles, user widely reported that much data volume is consumed, although these have hardly any programs or services enabled. Many users have given their experience in the comments and still new voices come in, that have plagued with the problem around. A troublemaker has now been identified: WhatsApp. Checks there once the settings for backup! Although the meaning of WhatsApp is to be sent mainly by text messaging, this backup can still reach immense sizes, since many texts are enriched with pictures. In addition, it is not clear how WhatsApp organizes its backups, means how effective the data is backed up. By default, saving videos in the Backup with WhatsApp is disabled. The backup itself is still enabled. Here you can secure your data daily, weekly, monthly or not at all. In our test iPhone stately 925.6 MB had accumulated on data for the weekly backup. If you secure this over a mobile connection, your inclusive volume is likely to be depleted very quickly. The settings for Backup is reached within WhatsApp on the gear icon at the bottom right. 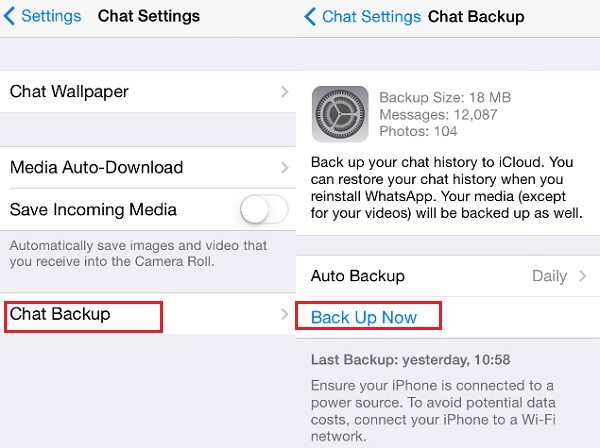 There you navigate to “chat” and then to “chat backup” there you can set the backup behavior. Below in dialogue, can be found at which the not unimportant indication that its best to let syncronise only via the WLAN to iCloud in order “to avoid high data costs”. Which WhatsApp with his backup once causes. Be the first to comment on "Check WhatsApp backup: System Service destroyes data volume"